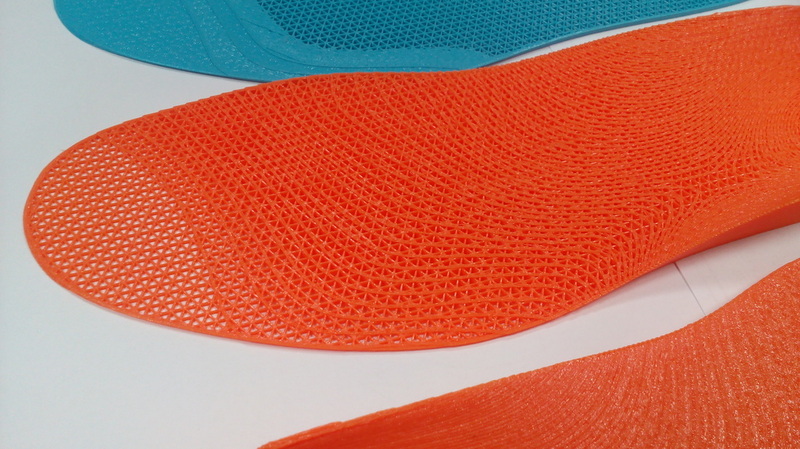 It is now where we start to see a major advantage of 3D printing over existing insole technology. 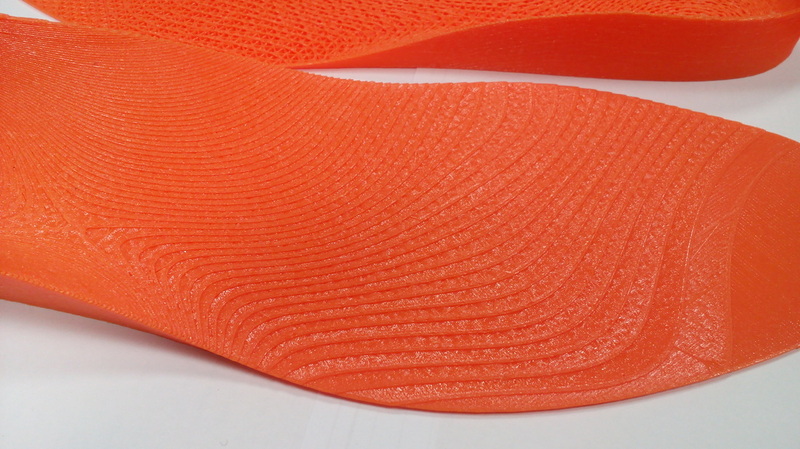 The traditional method to make a custom formed insole is to CNC machine the insole out of a solid block of a suitable chosen hardness of material. 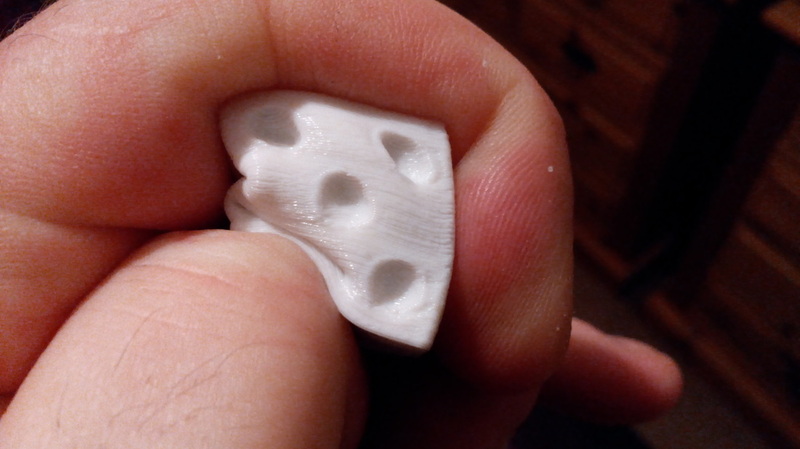 Post machining modifications can be implemented by added inserts in different materials etc. Any operation that requires multiple steps is adding to the complexity, inventory of different material stocks, skills and of course cost. 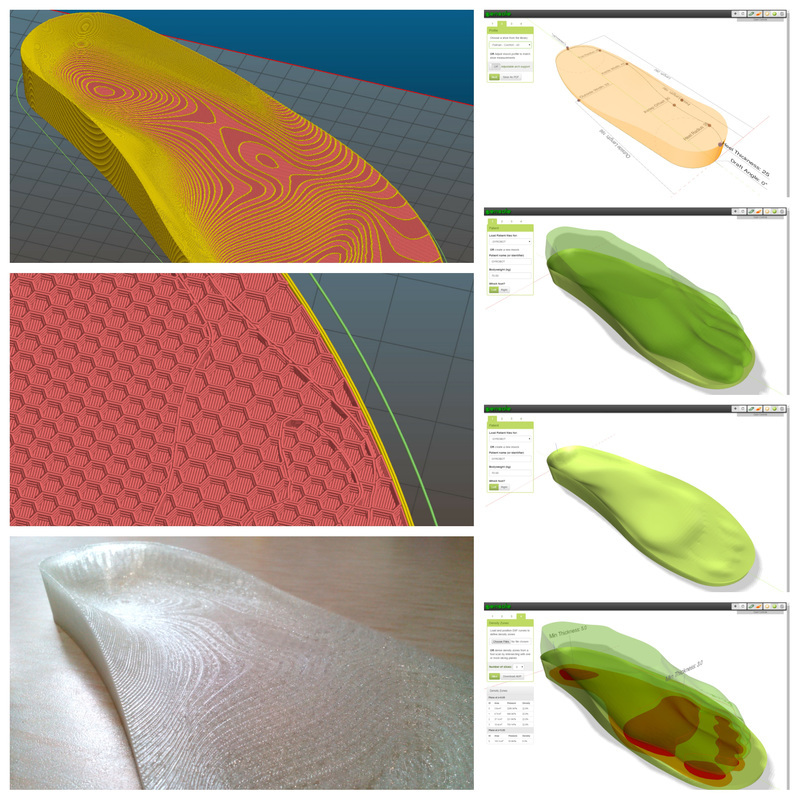 Here we can see that for a single use of material and machine (3D printer), a complex structure of insole can be created with differing grades of hardness according to the recipients needs. 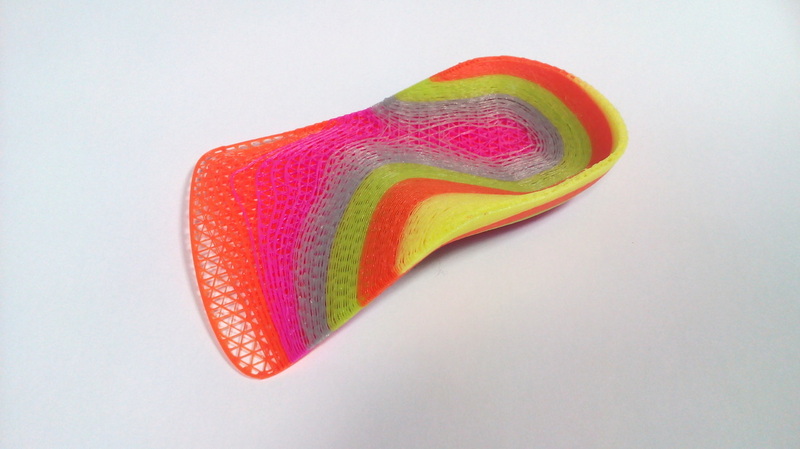 What I aim to show within the next few articles is how anyone without any qualifications, experience or knowledge in the podiatry field (that's me) can produce comfortable insoles using a completely free open source tool chain. 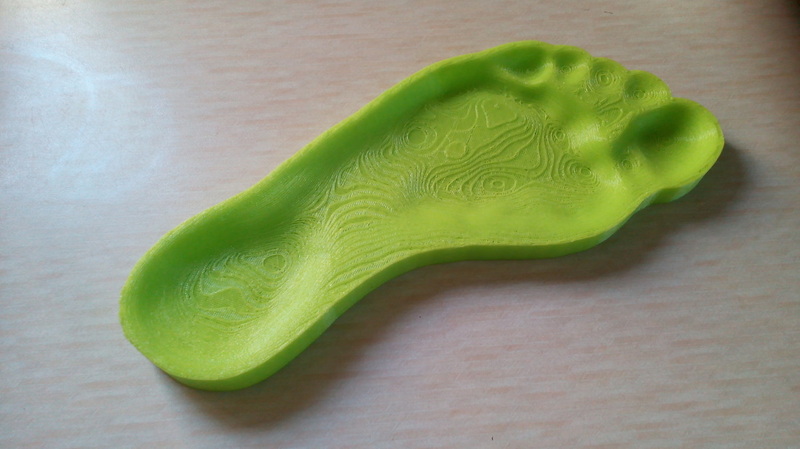 There have been many 3D printed insoles before, certainly the more expensive multi-material printers have been showing off their exploits for a while now, however with this new democratised power of the maker movement, I would like to show and share some new found skills. I am going to split this article into 3 further posts, each one focusing on 3 accumulative techniques that I have been experimenting with, each technique is not mutually exclusive, they can be mixed and matched with each other. 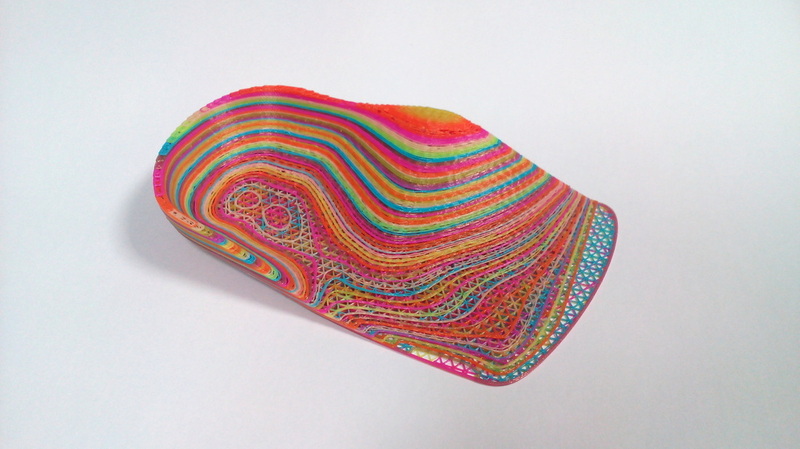 It can be assumed that I have produced all of my prints with Filaflex, the softest and most elastic material for FDM printers. 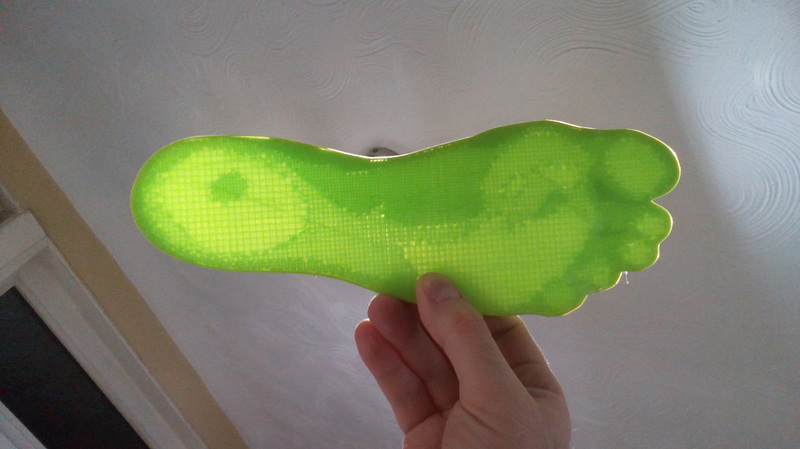 If anyone wants an FDM printer recommendation for printing shoes/insoles then look no further than the Lewihe Sneaker printer, tested at 120mm/s printing of Filaflex and with a large build volume for shoes.